Does the great British kitchen offer a great British breakfast? The Mr and I found ourselves wandering through Liverpool One a few weekends ago, stomachs rumbling and rain threatening. For some unknown reason, this particular Sunday morning, everywhere was rammed. The Mr noticed a board outside Georges showcasing breakfast offerings so we hurried over to take shelter from the Winter and fill grumbling bellies. Georges has been one of my favourite places to go over the last twelve months, I absolutely adore their bhaji battered fish (which I don’t think they offer anymore :( ) and their gin menu has some seriously scrumptious cocktails. 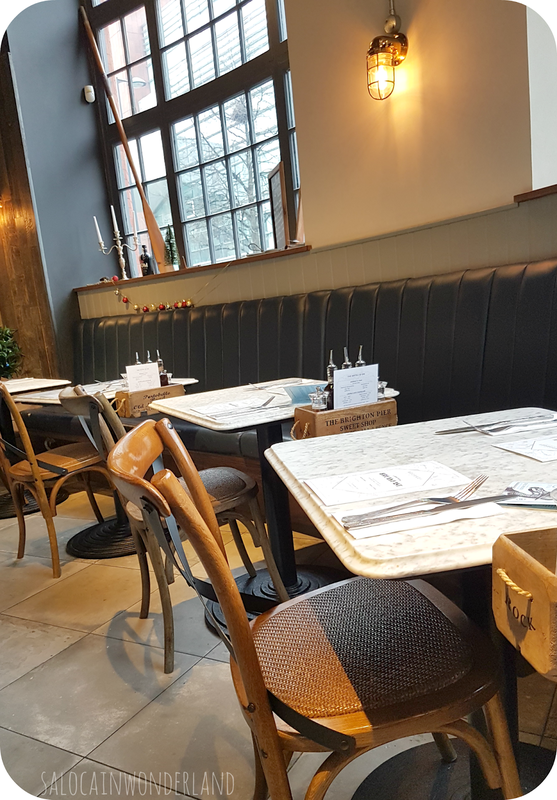 It’s the ideal place for catching up with friends and family, celebrating a special occasion, and in this instance, for grabbing a big breakfast. It took no time at all for us both to decide what we wanted, we both needed big plates of food in-front of us, and the word full English breakfast instantly drew us in. 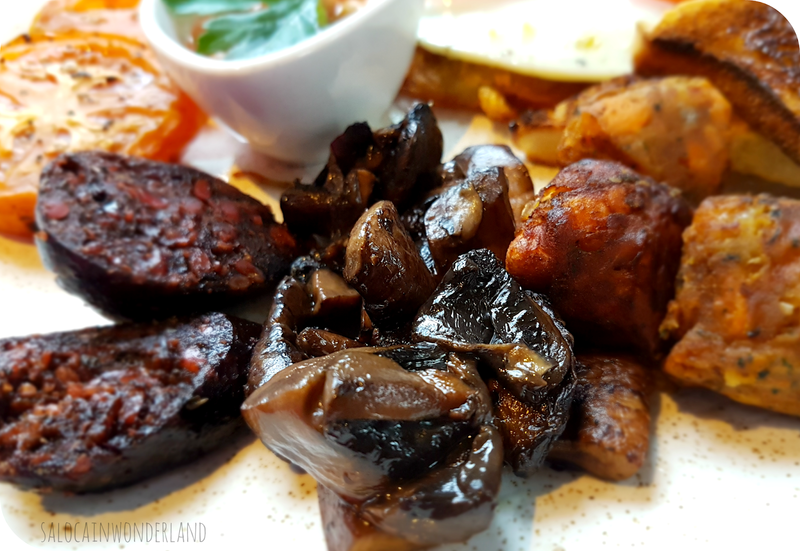 The Mr went for the Georges Full English Breakfast (£9.95)- dry cured bacon, breakfast sausage, black pudding, grilled tomatoes, portobello mushrooms, homemade hash browns, Heinz baked beans and a butter baked free-range egg. He cleared the plate, taking a particular liking to the homemade hash browns which were extra thin and crispy. There was a lot of food on the plate and it certainly filled more than a gap! I went for the full vegetarian breakfast (£9.95) - sourdough toast, grilled tomatoes, vegetarian black pudding, sweet potato and falafel dumplings, portobello mushrooms, homemade hash browns and two butter baked free-range eggs. Where do I even start in what drew me to this choice? Vegetarian black pudding…I mean…how? What? Black pudding was something I used to enjoy before going pescatarian, and I mean, we all know what that’s made from don’t we? How do you vegetarian-ise that? I still don’t know what they did but it tasted amazing! I was hard pushed to actually taste the difference between the regular version and the vegetarian version. If anything this was a little sweeter, but damn, it was so good! The sweet potato and falafel dumplings, those I’m not sure. They were nice, but for breakfast, it felt like a strange choice and I didn’t really feel like they mixed well with anything else on the plate. But on their own, they were delicious! They certainly didn’t ruin my breakfast, just not something I’d usually have early in the morning! It might sound strange but I actually think they’d be great drunk food haha! The food was hot, the tea was strong, and it was great to get out of the cold. I never knew Georges served breakfast (I feel like this hasn’t always been the case?) and the Liverpool branch was eerily empty when we arrived, so I feel like most people don’t realise they have a cracking breakfast menu on offer? 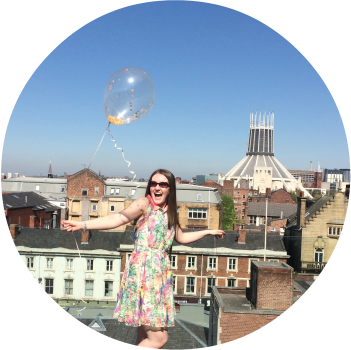 Now that I know, and I know its good I’m keen to go back and try their pancakes! 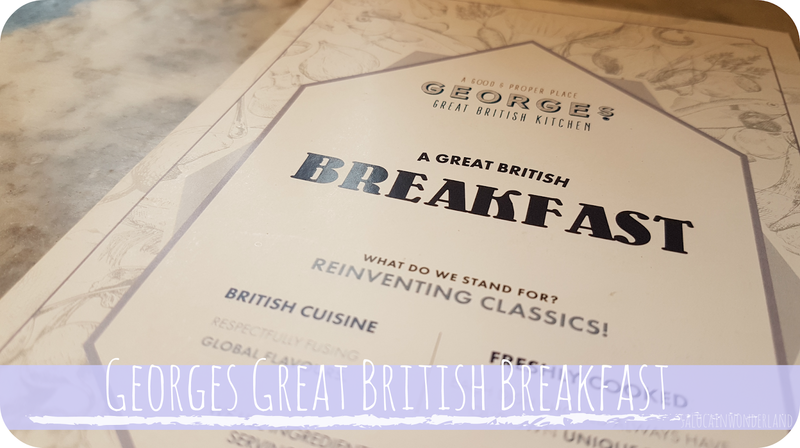 Have you tried Georges great British breakfasts?